Melrose Safe STEPS for Teens director Rebecca Mooney and Melrose High senior Zeke Vainer will be at the White House on Thursday for a forum on preventing dating violence. A Melrose High School student and a representative from the Melrose Safe STEPS for Teens Project will speak Thursday at the White House on teen dating violence. 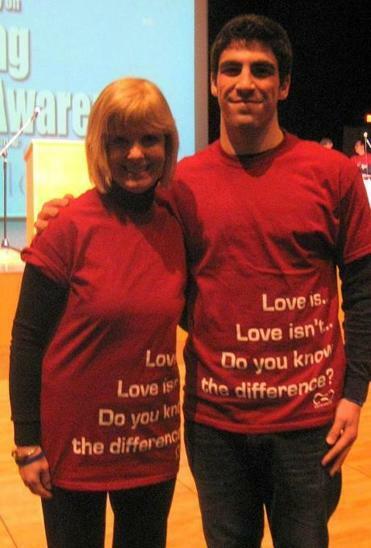 Project director Rebecca Mooney and Student Action Board member Zeke Vainer were invited to the special event that marks Teen Dating Violence Awareness and Prevention Month. They will share their thoughts on prevention programs in schools, and speak from experience about the initiative in Melrose. Mooney said she selected Vainer to join her in the presentation because of his ability to relate to a young audience, his involvement in the cause, and his public-speaking skills, and to show the audience that dating violence is a topic that is pertinent to both females and males. Later that week, Melrose hosted Sharon Love and Sharon Robinson, mother and cousin of a 2010 dating-violence victim, Yeardley Love. The women shared their story with high school students and offered advice for preventing violence in relationships. They also encouraged the use of the One Love Foundation’s smartphone app that gauges the potential danger in an abusive relationship and provides resources for help. Vainer, a member of the club that helped organize the One Love assembly, said at the event that learning the signs of abuse is vital. Thursday’s event at the White House will include other high school groups; college groups involved in Vice President Joe Biden’s youth initiative; adult representatives from violence-prevention groups; parents of violence victims; counselors’ associations; school principals and nurses; and federal government leaders.